Serendipity Reviews: Some Talented Teens! 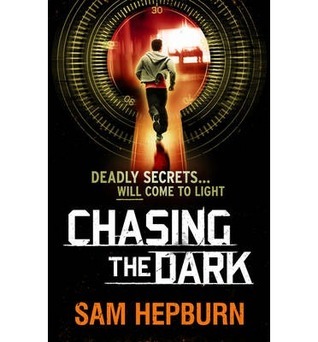 Earlier this week I featured Sam Hepburn on the blog telling us all her secrets about Chasing The Dark in Secret Serendipity Seven. At the bottom of the post I featured a book trailer, which I will show you again in just a while. The more I hear about this book trailer, the more impressed I am. And why, do I hear you ask? Because some rather incredibly talented teens created it! The trailer was made by Sam's son and his friends. Her son Murdo, appears in it while his friend George directed it, as their other friend Lucas operated the camera! 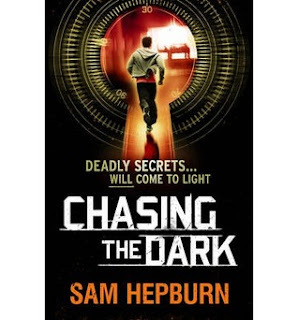 George and Lucas are presently studying film at school and Murdo seemed to be the ideal actor as he looks so much like the boy on the cover of the book. . I've watched it and I think it is utterly brilliant. The kids are desperate to show their talents so why don't you watch it too. It shows that Sam isn't the only talented one in the family! What do you think? ?